She was a friend, a role model and a colleague of mine. One of the strongest women I have ever met. Nicola always knew the right things to say. I found myself racing down the stairs after my traffic hits just to chit chat. I could go to her with anything and everything. Definitely one of the smartest, kindest and funniest people I have ever met. I loved her like a sister. Of course she would try to make me laugh even when she was suffering. That’s just who she was. In the very last message Nicola wrote me she asked me to bring her a wand she had brought back from Disney. It had been sitting at the station sitting right next to our bobble heads. She told me that her niece wanted to use it for a Halloween costume. Again, during her last few hours before heading to Mexico she was thinking about someone else. This past summer, even though she was struggling to walk, Nicola joined Bob and I at the Dundas Valley School of Art to create some pottery for a charity auction. Again, giving back to her community… thinking of others. “Rainbows, Sunshine and Unicorns” was our motto. We didn’t care if people thought we were wacky as long as we had fun. Nicola really knew how to have fun. Chair racing during commercial breaks, running down the hallways, interrupting cooking segments to eat the food. 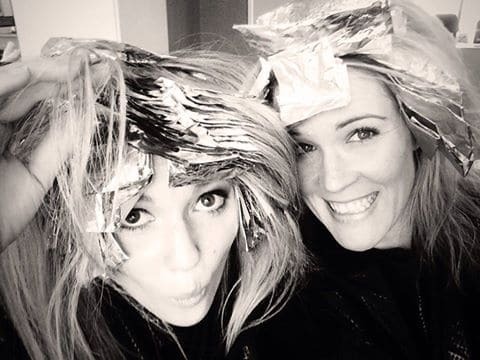 Needless to say we had a blast together… and not just at work! Nicola and I would get together to do projects: make inspiration boards, plan future segments, meet for coffee, go shopping, bake etc. One Christmas Nicola decided that we should surprise everyone on the Morning Show with a gift. 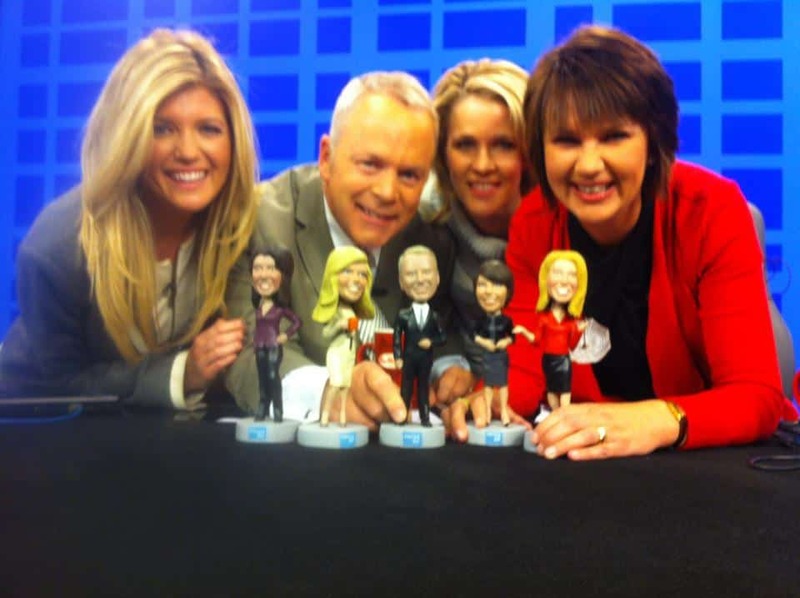 She called around and was able to get bobble heads made for the hosts of Morning Live. She secretly sent the photos and organized the order. When they arrived at Christmas we presented them to Bob, Annette and Lori live on the air. Everyone loved them! I know I’ll cherish mine forever. Lastly, it’s moments like these that really make you stop to think about what’s important in life. Nicola can remind us of that. Live every day like it’s your last. Take care of your body, your health. Love unconditionally. Thinking of you Jacyln at this sad time of your friend Nicola,and your CHCH Colleagues! My condolences…. So sorry to hear of your friend and collegue Nicola Jones Jacyln! my condolences sent too you your CHCH FAMILY and of course Nicola’s family….. Thanks Jaclyn….Nicola touched so many people….even today. ..after she has passed. …not only did she inspire me to write in my diary …reminding myself that God has a plan beyond all of us…but just now i am inspired to pick up Dan’s book of inspiration….to accept the life i am given…and not always say “what if”….direct fron Nicola’s favorite interview. I truly believe….that as hard as it is for Nicola to leave her beautiful son…and vica versa….i believe that God needed Nicola as an angel so her goodness can be spread further from beyond the grave. I am sorry for your pain…find peace and share her joy. Thank you for sharing your photos and memories of Nicola; I am so upset today about her passing and I never even met her in person. I cannot image the loss you and your other CH friends must feel. Nicole was one of the beautiful people ,Now she is a beautiful angel and will be missed by all . May she rest in peace. 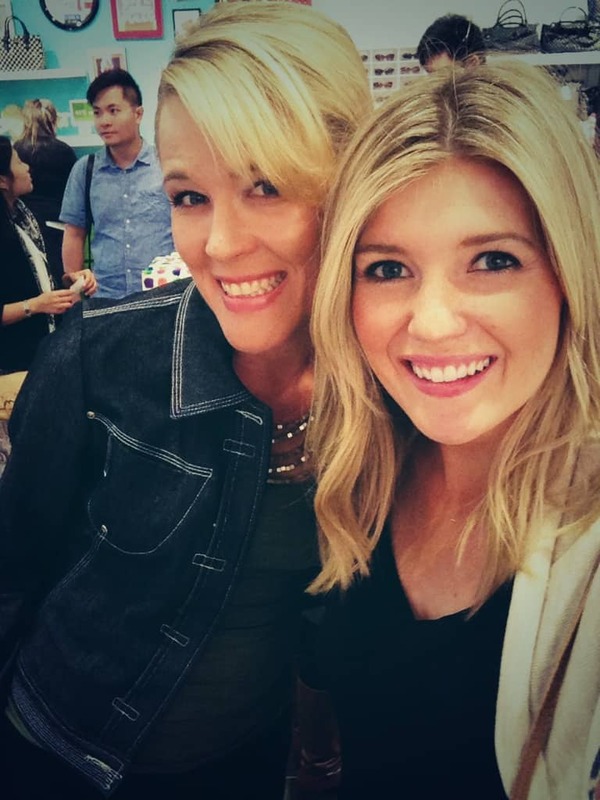 Nicola was a beautiful person inside and out and will be truly missed by all that watched her everyday on CHCH. Always smiling no matter what she was dealing with, may her smile live on in her son. That was beautiful – thinking of you everyone at CHCH, her friends, family, and her son. Such a special person – gone far too early. So happy to see that Nicola had lovely friends like you who would share these wonderful moments. I am an engineer but also an astrologer and wrote books on Palmistry as well. I only met Nicola once when I was doing an interview with Lori and remember her having Head line totally separate from the Life Line. This makes one very positive and dynamic and many motivational speakers are born with it. The only problem is that they take on so much. It is amazing how much she wrote and a lot of what she wrote is actually very valuable. We are not going to let her sacrifices go in vain. I am going to be writing about her once I have her time of birth and I know exactly what she was going through and what she needed to offset it. Hopefully it will help a lot people and anything which lifts the spirit of others would be exactly what Nicola would have wanted. The soul lives on and I am sure she will keep inspiring many people who knew her and her son will grow up to be all she wanted him to be. We share your sacred sadness and hope we can do justice to her beautiful and giving spirit. You can always write to me at stargaze@astrotrends.net. I know I will be spending a lot of my time doing research and helping understand how we can offset these themes. My condolences to you and your colleagues. Grow from her strength and have happiness in knowing her.